By the Numbers—Just How Popular is Rolex? Reputation is a fragile thing. As Warren Buffet once famously said, it can take 20 years to build and five minutes to ruin. This year, and for the first time, Rolex has topped the Global RepTrak 100 rankings, the world’s largest annual corporate reputation study. 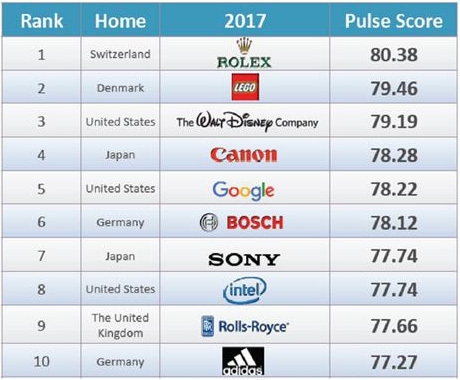 Published by the Reputation Institute (RI), the Swiss watchmaker also became the first ever winner to graduate to ‘Excellent’ status, and beat such luminaries as Google and Rolls Royce in factors such as trustworthiness and customer’s willingness to recommend the brand. It’s proof, if it was needed, that Rolex is the most popular watch brand on the planet. In fact, they are the only watch brand to break into the top 100. We’ve put together an interactive graph below to demonstrate just how big the chasm is between Rolex and their three closest competitors in terms of popularity; Breitling, IWC and Tag Heuer. You can see at a glance, it isn’t even close. Stretching all the way back to 2004, Rolex consistently outperforms the other brands in search queries by at least 3:1. Even more tellingly, where the competition has suffered a very slow yet definite decline in popularity, Rolex’s numbers are on the rise. It’s a pattern that seems to bear out the doomsayers report on the state of the modern Swiss watch industry, which has suggested that the huge upsurge in sales of the Apple Watch signals some very tough times ahead for any company that isn’t called Rolex. The stats also give an interesting breakdown of the most popular related search terms, and we can see that the Submariner is the model most people are interested in. You can have a play around with the data yourself and see the analysis for your own particular part of the world. So, Why is Rolex So Popular? The big takeaway from all the facts and figures on our graph is clear. In terms of the most popular luxury watch brands, there’s Rolex and then there is everyone else. The question as to how they have maintained their enviable reputation and placed themselves so far above the crisis currently playing out in the industry has several answers. First, and most obviously, is the product. The obsessiveness that has always marked Rolex’s approach to the quality of their output goes a long way to explaining their continued position at the top of the horology tree. The reliability manufactured into every watch that leaves the factory is second to none, so much so that all new watches are offered with a 5-year guarantee. The best any of the competition can manage is 2 years. This is from a company that produces around a million watches annually. The latest generation is also recommended to be serviced every 10 years, instead of the standard 5. Rolex watches need to be serviced, but the intervals have recently increased. The effect this level of dependability has had in more recent times is the explosion in the market for pre-owned and vintage Rolexes. It is the by-product of the company’s unwavering quality standards since the very beginning that their watches last for generations, coupled with a design ethos of subtle variation rather than radical alteration. A Rolex from 50 years ago is comparable, visually at least, to one fresh from the factory. That level of consistency gives the brand a timeless quality, as opposed to competitors that release drastically different models on a regular basis, briefly capturing the imagination before going out of date relatively quickly. From a more mercenary standpoint, much of Rolex’s popularity can be attributed to their reputation as a solid investment. Hang onto pretty much any one of the watches in the catalog for long enough and you can be reasonably assured it will appreciate in value, and they are just about the only watchmaker that can make that claim. However bad the economy, people are always looking for savvy ways to invest money. In the world of luxury watches, Rolexes are the savviest. An exceptional product aside, what has always set Rolex apart from competitors is their sheer genius for marketing. It is recognized as one of the greatest advertisers in the world today. Much like their design department, Rolex’s marketing division has remained doggedly consistent from day one. 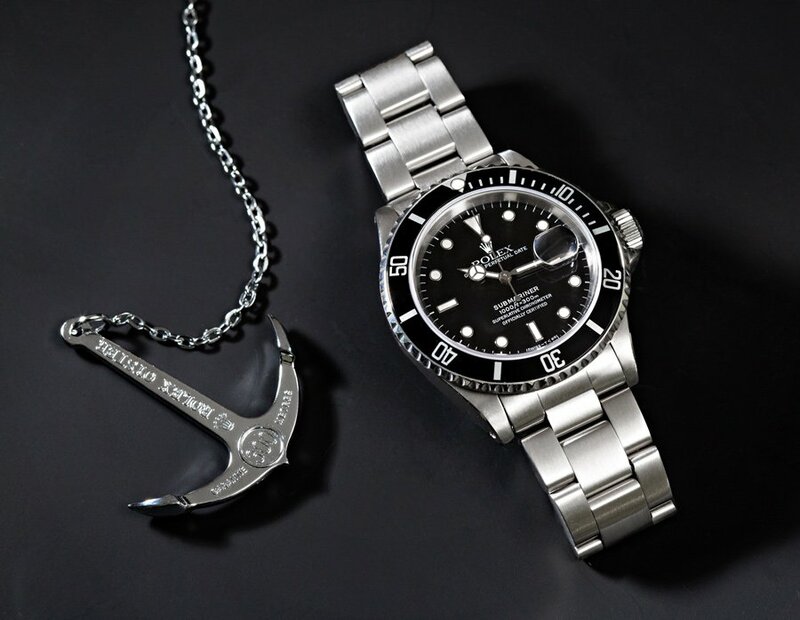 The message it has sent out to current and potential customers has always been the same; Rolexes are worn by successful people who do remarkable things. They were the first watches to reach both the highest and lowest points on earth. They’ve been worn by great men and women, and the movie world’s most iconic stars. Their name can be found at every prestigious or high-octane event, from 24-hour motor races to yachting events to golf tournaments. Even their pricing policy is rigorously considered. Rolex don’t do discounts, and they don’t do them for the same reason they don’t alter the design of their most successful watches—they don’t need to. 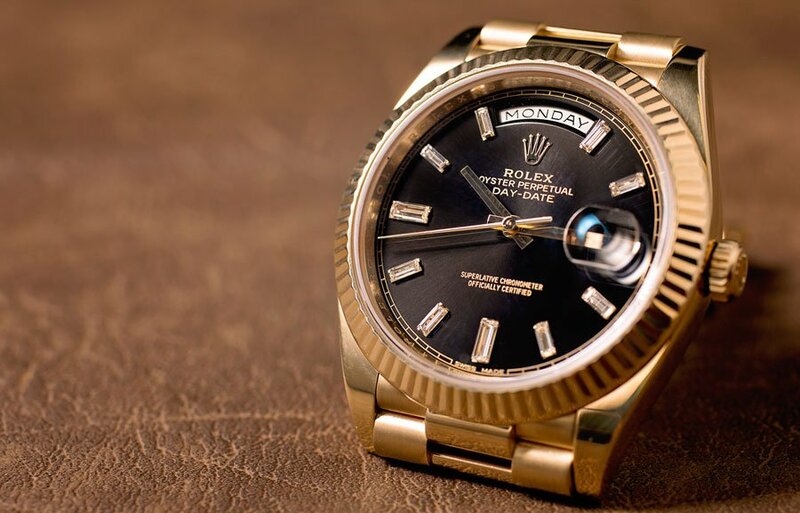 The audience they cater to will pay the price Rolex sees fit to attach to their product, thereby setting the standard for their competitors to follow. It all adds up to the image of them being a company that leads from the front and plays by their own rules, and subliminally attracting customers who, or at least who would like to think, do the same. If you want proof of the effectiveness of Rolex’s publicity machine, try a little word association. Ask anyone to name the first luxury watch brand that pops into their head and it would be an unusual person who says anything other than Rolex. It would be like asking them to name a search engine—no one ever says Bing. As for the name Rolex itself, that has also been a crucial element in the continued popularity of the company. We could do a whole article on the science behind brand names, but ask any marketer the golden rules for a successful one and they will tell you to make them short and easy to say. Aside from gold and diamonds, the brand name carries the most value. Much like Kodak, the name Rolex isn’t an acronym—in fact it doesn’t actually mean anything, but it is easily pronounceable whatever nationality you are. By comparison, looking at the names of their closest rivals—Breitling and Tag Heuer are long and too open to interpretation and IWC is impersonal and, to the uninitiated, could well be a firm of accountants. Wherever you are in the world, Rolex says Rolex. Rolex has had a core set of values it has stuck to rigidly from the outset. Those twin principles of innovation and unwavering quality have given it a reputation that is now unmatched by any other company. Coupling a superb product with faultless marketing has lifted the brand, as a whole, far beyond being simply watchmakers. As Andre Heininger, successor to founder Hans Wilsdorf, said, “Rolex is not in the watch business. We are a luxury business.” Rival brands also produce beautiful timepieces, but none come close in terms of public perception. People will always buy fine watches to show off as status symbols. But, uniquely, those wanting to reward themselves for a special level of personal achievement purchase Rolex. This suggests a much deeper emotional relationship with the company. 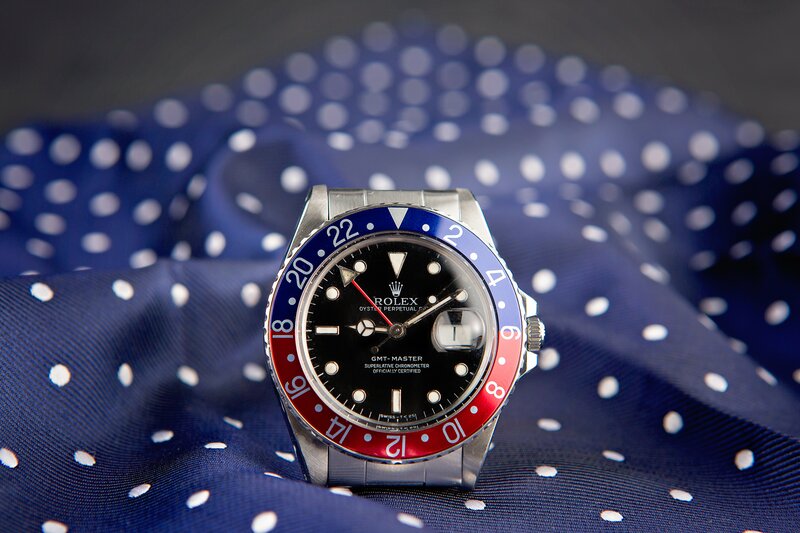 Of course, anything hugely popular will always have its detractors, and Rolex is no exception. But the formula they have followed since their inception has made them the number one brand operating today, and the only Swiss watchmaker not losing sleep over the smart watch insurgence. Since Rolex has topped the Global RepTrak 100 rankings, you can see who else is following this leader.